If you are not a Briton, you may not be familiar with Runnymede, England. But on June 15 this year, the eyes of the world will be on the small town as the United Kingdom marks the 800th anniversary of the signing of the Magna Carta at Runnymede Meadows in the presence of Queen Elizabeth II and other dignitaries from around the globe. The United Kingdom is far from being the only European nation celebrating a historical milestone in 2015. From the British Isles to Turkey and many places in between, there will be many monumental anniversaries throughout the year. For those who love history, there are plenty of opportunities to experience living history during a number of special events, reenactments, exhibitions, symposiums and commemorations. The capital and largest city in Slovenia will be celebrating a birthday very few places in the world can boast in 2015. The city of Ljubljana will mark the 2000th anniversary of its founding in 15 A.D. by Roman Legion XV Apollinaris. The year-long celebration offers a great introduction to a country that is an upcoming European tourist destination with its stunning Adriatic Coast and Dinaric Alps. Visitors will be able to experience Roman Ljubljana when it was known as Emona. From April to the end of October, visitors may put on Roman attire and explore the streets and squares of Emona with a Roman legionary and tourist guide to learn about the culture and daily life of the ancient residents. An evening tour will present the ancient city by torchlight. Two special exhibits will also give a glimpse of ancient Ljubljana. The National Museum of Slovenia is already hosting an exhibit titled “Roman Stories from the Crossroads.” The City Museum of Ljubljana (MGML) is presenting “Emona: A City of the Empire” now until May 31. Visit http://www.visitljubljana.com/en/activities/culture-art/49296/detail.html for more information. Majestic London will remember Sir Winston Churchill on the 50th anniversary of his death. The British state funeral of Sir Winston Churchill at London’s St. Paul’s Cathedral in 1965 was the largest state funeral ever. Several events are planned for January. London’s Science Museum will feature an exhibit titled “Churchill: Science in War and Peace” that opens on January 23. On January 30, the merchant vessel Havengore will commemorate Churchill’s last journey by water along the River Thames from Tower Pier to Festival Pier during his state funeral. An Evensong service in honor of Churchill will be held that night at Westminster Abbey. Learn about other events at http://www.churchillcentral.com. 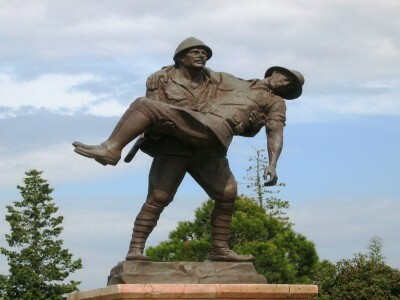 Representatives and citizens from a number of countries will converge upon Gallipoli, Turkey on April 25 to mark 100 years since World War One’s battle of Gallipoli. British and Commonwealth forces sought to capture Constantinople (today’s Istanbul) and force the Ottoman Empire out of the war. However, by the end of 1915, Allied forces evacuated the Turkish peninsula after a bloody stalemate. April 25 is celebrated as ANZAC Day – or Australia and New Zealand Army Corps Day – in those two countries. Because Australia and New Zealand suffered tremendous losses in one of their greatest battles, many Aussies and Kiwis will attend along with citizens from Britain and other Commonwealth countries. Visit http://www.gallipoli2015.dva.gov.au and http://www.gallipoli2015.govt.nz for more information. Salzburg, Austria will celebrate the 50th anniversary of the release of the most popular musical film of all time, “The Sound of Music,” on March 2. The classic musical starring Julie Andrews and Christopher Plummer was filmed at multiple locales around Salzburg and made the city world famous. However, the biggest events will take place at other times during the year. The Sound of Music Choir Festival will be present a choral extravaganza at the Mozarteum Salzburg on June 26. On October 17, the Salzburg City Tourist Board will host “The Sound of Music” gala event at the Felsenreitschule to mark the 50th anniversary of the Hollywood classic. In Vienna, Austria, the city will commemorate the bicentennial of the end of the Congress of Vienna. The treaty marked the birth of modern Europe by settling political issues following the French Revolutionary Wars and Napoleonic Wars. It was the first attempt to create a peaceful balance of power in Europe and later served as a model for organizations such as the League of Nations and the United Nations. One exhibition, “Europe in Vienna – The Congress of Vienna 1814/15,” begins February 20 and runs through June 21 at Belvedere Palace. Another exhibit is open now through June 9 at the Imperial Carriage Museum on the grounds of Schönbrunn Palace. In England and Belgium, dignitaries and visitors will commemorate the bicentennial of the Battle of Waterloo. 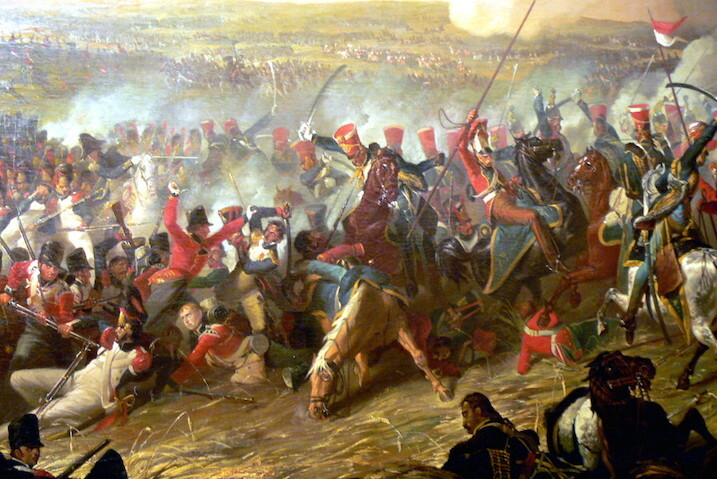 British forces under the Duke of Wellington and Prussian troops led by Gebhard von Blücher defeated Napoleon and France on a battlefield near the small Belgian town of Waterloo in 1815. On June 18, the official Bicentennial Opening Ceremony will take place with the opening of the Bivouacs (campsite) at the Waterloo battlefield. The first reenactment will take place at 8 p.m. on June 19 and the Waterloo Sound and Light Show will take place at 8 p.m. on June 20. Tickets are on sale now at www.waterloo2015.org. In London, the St. Paul’s Cathedral Commemoration Service will take place on June 18 from 11 a.m. to 5 p.m. A concert and dinner will take place at Stationer’s Hall that evening at 7:30 p.m. The Grand Waterloo Ball will be held on June 20 from 7 p.m. to 11 p.m. at the Royal College of Surgeons in London. 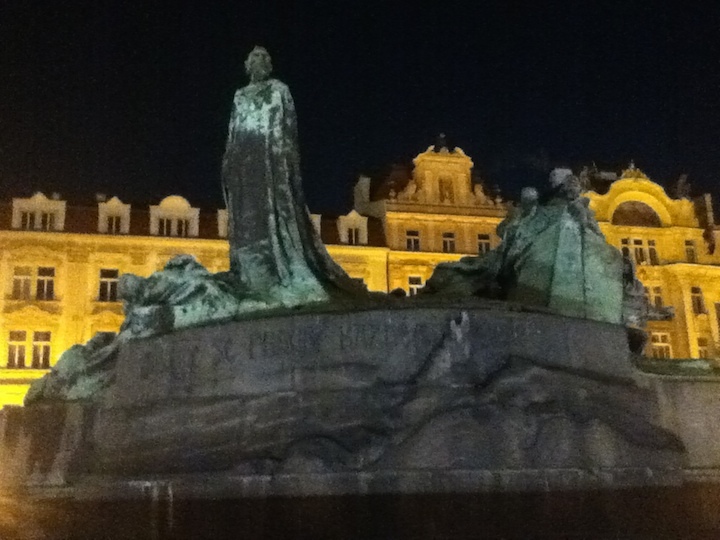 The Czech Republic will mark the 600th anniversary of the death of native son and Czech reformer Jan Hus on July 6 in Prague. Hus, considered one of the most important Protestant reformers, was burned at the stake in 1415 in Constance, Germany. Commemoration events will include the exhibition “Jan Hus – European of Modern Times” and the opera “Hommage à Jan Hus” at Prague Castle. Charles University will hold a ceremonial assembly to commemorate the death of Hus. Other events will take place at Prague’s Bethlehem Chapel and in Constance, Germany. 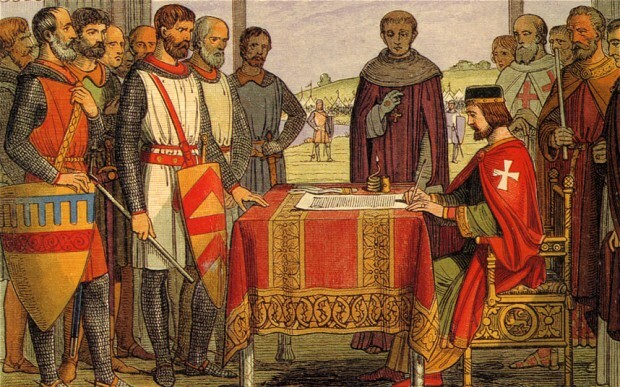 At Runnymede Meadows, England on June 15, Queen Elizabeth and other dignitaries from around the world will remember the 800th anniversary of King John signing the Magna Carta. Other events will take place earlier in 2015. The four surviving Magna Carta copies from 1215 will be united at the British Library from February 2 to 4 before they go on display in the “Magna Carta & Parliament” exhibition from February 5 to 20. From March 13 to September 1, the British Library’s main exhibition – “Law, Liberty, Legacy” – will open. The Exhibition will feature the Library’s Magna Cartas alongside the U.S. Declaration of Independence and Bill of Rights. From March 1 to June 27, the Globe Theatre will begin its run of the “Troublesome Reign of King John” at Temple Church. Visit http://magnacarta800th.com/events/ to learn more. 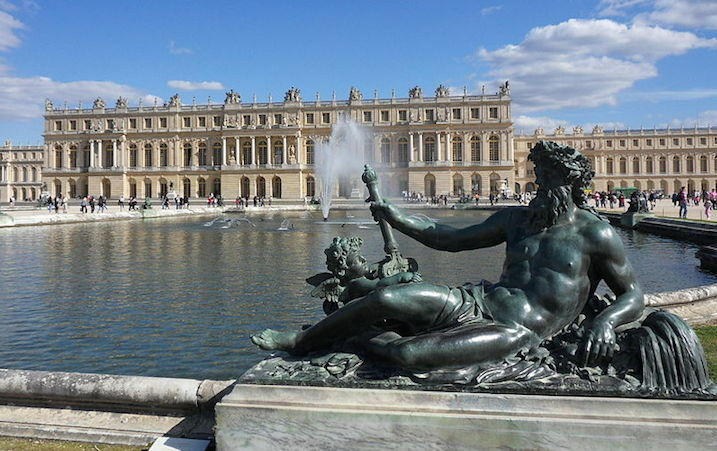 Visitors to Paris this fall will not want to miss the Palace of Versailles. September 1 will mark the 300th anniversary of the death of French King Louis XIV. The “Sun King” is most famous for being one of history’s most powerful absolute monarchs and having built much of the Palace of Versailles. He ruled 72 years, the longest of any major European monarch. The Palace of Versailles will hold an exposition called “Le Roi est mort!” from October 26 to February of 2016 in commemoration of the milestone. Another significant historical ceremony will take place in France on October to recognize the 600th anniversary of the Battle of Agincourt. English King Henry V and his forces defeated a larger French army with their new developed longbows. 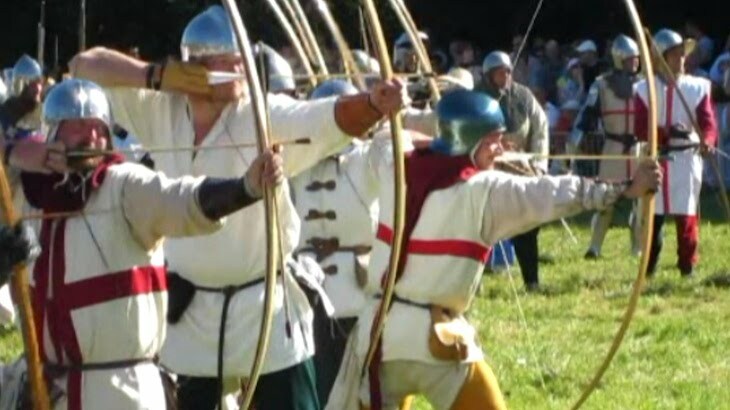 Archer re-enactors will march along the route taken by Henry and his army from Harfleur to Azincourt, followed by a mass arrow shoot. For information, visit www.azincourt2015.info. A service in Westminster Abbey will commemorate the battle on October 29. Learn about all events at http://agincourt600.com.